If you’re using any geared motor within your industrial machinery, you’re most likely familiar with gear reducers. They’re a mechanical device that is intended to perform two functions. Their primary role is to amplify the amount of torque produced by the input power source to increase it. They’re also used to reduce the input speed to attain a desired output torque that is required by the application. Choosing among the various types of gear reducers goes beyond simply picking a unit from a catalog of products. 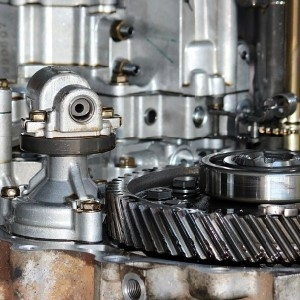 While knowing the torque, speed, and load capabilities can be helpful, proper service factors must be carefully considered to meet the range of dynamic applications. Once you’ve selected the right type and size, it’s important to correctly install and maintain the motor since installation and maintenance are critical to prolonging its life. Prior to opting for any reducer, specifications should be clearly identified to correctly size a unit and install it. This includes the reducer efficiency, torque, speed, service factor, horsepower, the mounting position, and any connection variables. In some applications of gear reducers, things like backlash, moment of inertia, transmission error and torsional rigidity are crucial. Among these factors, the amount of torque is considered to be the most essential criterion. This is because it directly translates to the amount of work that the reducer has to do. In simple applications of gear reducers, specifying the torque required for the job may be easy and straightforward. However, in complex machinery and equipment, determining the torque can be difficult. Other physical phenomena which may resist motion such as friction, gravity and inertia need to be considered. This is to ensure that the enough amount of torque has been determined to overcome these things. Specifically, acceleration and deceleration of inertial masses, as well as the coefficients of friction, have to be considered to properly calculate the required torque for a particular application. Keeping these things in mind will help you properly choose from a multitude of gear reducers available in the market.